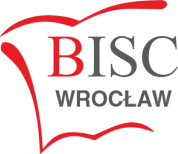 BISC Wrocław welcomes children of all nationalities and operates an on going enrolment throughout the school year. English is the language of instruction in all stages of the school, however we welcome students who are new to English and require English as an Additional Language (EAL) support. A language assessment may be required prior to enrolment with one of our EAL teachers. - A letter of support from your employer if they will be liable for the payment of tuition fees. - A non-refundable enrolment fee of PLN 2,171.